OK, a bit of a far cry from Orson Welles and Jacobean tragedy but, if anything, this blog is eclectic. LIVE-WIRE MC! FANCY DRESS COMPETITION! It promises to be a great evening with a sizeable number of seats sold already but I wouldn’t want you, gentle reader, to miss out. Tickets are available online at the link above. And while you’re at it you might like to check out our friends at FilmBox, a community theatre experience in the same Bromley Hall with a first class programme which is going from strength to strength. 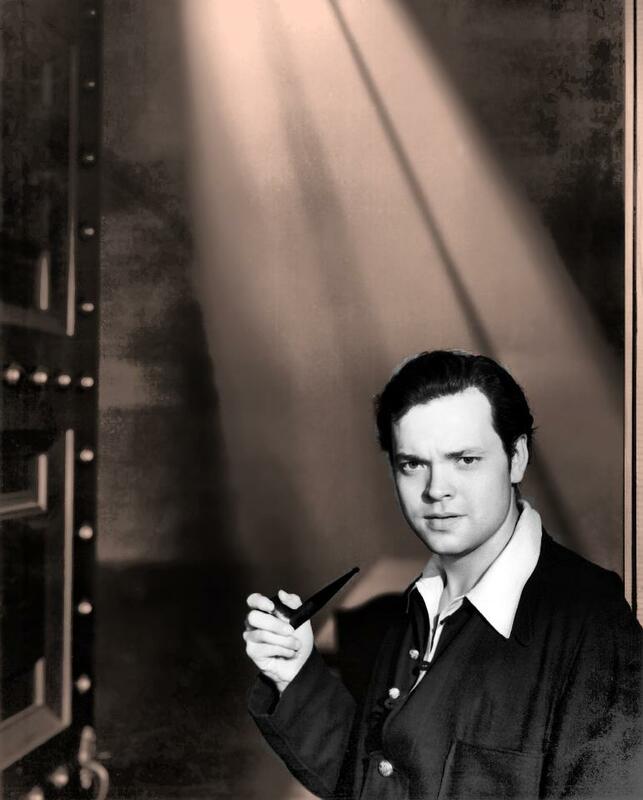 And another thing….Welles said Sir! “The real reason for the decline of Shakespeare as a vitalizing force in our life would seem to be more deep-seated than commonly accepted surface explanations. Probably a large measure of the failure should be laid at the door of the teacher, and here again the blame shifts to his teacher- the pedagogical system under which he earned his degree. The plain fact is that for a generation in university circles (since the advent of the German idea of scholarship through specialization) it has been impossible for our teachers or prospective teachers to attain scholarly distinction on the basis of broad appreciative study of literature, theater and art. One hundred years ago Spencer opined hopefully and a little wistfully that some day Science was to reign supreme and was no longer to be the household drudge “kept in the background so that her haughty sisters (Literature and the Arts) might flaunt their fripperies in the eyes of the world.” How soon-how completely his dream has come true. Far from being the household drudge today, Science dominates the domicile. Far from flaunting fripperies today, Literature and the Arts cringe in the background, wearing their tattered togas shamefacedly, while Science, proudly arrayed in a dentist’s jacket and peering into a microscope, poses supreme on Mount Olympus. A world bows in worship before this god, and our educators, leaping to their feet in revival meeting and shouting “Amen Hallelujah!” hit the sawdust trail to conversion. Our whole preparation of teachers has become a low salaam to this deity. In half of the educational convention addresses delivered each year the burden of the song is, “We must develop a scientific approach.” Higher degrees are unattainable by broad training and catholicity of taste. They are procured only by learning “more and more about less and less.” This is highly desirable, of course, in truly scientific subjects. Research and laboratory methods have given us whatever real advance our century has made over earlier eras. But because this is true—because we do admire the scientist and his achievements—does it mean that we must all be pseudo-scientists? Does it mean that we must all be sycophants before the man in the rubber gloves? Does it mean that we must copy the way he purses his lips, the way he adjusts his pince-nez? Does it mean that beauty is no longer truth and truth no longer beauty but merely an algebraic equation? Does it mean that the proper study of mankind is no longer man but only chemistry? Does it mean that we are not such stuff as dreams are made of but merely wriggling conglomerates of hormones, salts, and electrons? Forbid it, Almighty God! In attempting to make our study of literature scientific and analytical we have merely made it dull. A Shakespearean play is no cadaver, useful for an autopsy. It is a living, vibrant entity that has the power of grasping us by the hand and leading us up onto a peak in Darien. “But I can’t understand Shakespeare” says the high-school boy. “It takes a gray-bearded professor to know what he is talking about.” You are wrong, Johnny. It’s the gray beard that you can’t understand. He has asked you to read Shakespeare with a pair of glasses smoked to a dull and dingy gray. Take them off. It was written for you, for the groundlings, for the unscholarly Globe patrons who walked in from the cockfight on the street. Only those folks whose blood courses hot through their veins can understand these tingling lines. Shakespeare said everything—brain to belly, every mood and minute of a man’s season. His language is starlight and fireflies and the sun and moon. He wrote it with tears and blood and beer, and his words march like heartbeats. Chaucer spun husky, lusty yarns that are today as vivid and as vital and as rousing as a date in a parked coupe. Wordsworth, Shelley, Keats, and Byron sang songs to set your senses a tingle. They spoke for you-not for the pedagogues. They spoke with the tongues of men and of angels, and not to know the cadence of their voices, not to have great snatches of their immortal lines ringing in your ears as you view life’s kaleidoscope is to miss one of life’s major thrills. Of course, the flavor of the whole thing is a new one to you. Few exotic tastes are cultivated without some preliminary wry faces or some contemplative and questionate lip–smackings. But as caviar to the initiate is more thrilling than hamburger, so the exotic, zestful flavor of Elizabethan phraseology falls at first strangely on our dulled and jaded senses, but, cultivated, it can bring moments of ecstasy. Well this week’s trip down memory lane takes us back two years ago and our production of ‘The Duchess of Malfi’. Though not to everyone’s taste it was certainly an ambitious step to take on the world of Jacobean tragedy with its murderous plots, elaborate twists and turns and rather excessive, if at times slightly comedic, violence. Many of you may recall John Webster, the author of this revenge classic, as the boy who liked to play with mice and who, when talking about ‘Romeo & Juliet’, ‘liked it when she stabbed herself’ in the film ‘Shakespeare in Love’. Memories come back of a very fraught time and a production plagued with issues, difficulties and unfulfilled ambitions but also of the great enthusiasm, spirit and talent that is to be found within The Matchbox. Like some phantasm of the past, images come wafting back of the crisis meeting a week before curtain up where the three hour extended remixed version had to be cut down to a more manageable two and a quarter hours; I will always be grateful to John Mackintosh, literary butcher, for his work at that time. Gosh, I am getting all dewy eyed thinking about it, and is that a tightening in my chest? I had better curtail my recall for fear of doing myself a mischief but despite this play being an experiment that didn’t fulfil expectations in many ways and was at one point something of a Matchbox ‘Ishtar’ (http://www.imdb.com/title/tt0093278/?ref_=fn_al_tt_1), looking back, it was a play that challenged, elicited some magnificent performances, explored a period of theatre not often taken on in the world of church hall drama and, ultimately, it’s worth doing that once in a while! Continuing this series of retrospectives of previous plays, here are a selection of photos from March 2012’s ‘Dirty Linen’ and ‘Newfoundland’by Tom Stoppard. This pair of contrasting pieces, directed by Tim Pierce, slotted together neatly into the same evening although were a world apart in content. The former, and indeed central action of the night, was a hilarious study of hypocrisy at the highest level with a House of Commons Select Committee meeting to discuss a series of press scandals involving a mysterious woman and 119 claims of sexual harrassment. It all becomes clear that the secretary Miss Gotobed has more than a passing invovlement with this collection of ministers and I am sure you can piece together the mystery through looking at some of the images above. Written in 1976 it’s fair to say that things haven’t changed much today! The second piece ‘Newfoundland’ was a somewhat surreal brace of monologues, the first on Lloyd George and a five pound note and then a tour de force celebration of America with an assault of the audio and visual. Many fond memories come back to me looking at these photos, and I am amazed that being such a student of The Hortensio Curve ™ (I’ll tell you about it some day) I still remember sizeable chunks of that monolithic speech -“Picture the scene…”. ..and it really ought to be otherwise I will get in trouble. More memories next week and very soon an update on ‘Murder Deferred’. And please, if you have any comments, criticisms or memories of your own, feel free to drop a line and get involved. Spread the word. Well it’s been a couple of weeks since last I hunched over keyboard and during that time it looks like the summer might finally have arrived- though I hardly noticed it whilst awash in the Lake District last week! And that means we are on the run up to our July production. As you may know I am currently booming regally in Tudor England in my histrionic adventures elsewhere so it was nice to come back to St Francis and get an update and insight into ‘Murder Deferred’ which will be going up in exactly a months time on the 4th, 5th and 6th July. Helmed by Annie Norris with the assistance of Vicky Pierce the play is certainly taking shape and seems set to prove something of a whodunnit that will keep audiences guessing til the lights finally go down. In fact I am kicking myself a little bit as I have become a victim to huge ‘spoilers’. Oh well. What I can say is that it’s a good old fashioned character driven murder mystery which we have not had on the Matchbox stage for quite some time. Indeed the last I can remember was ‘Night Must Fall’ which certainly was a long old time ago. I took a few pictures, though do excuse the fidelity of some, the camera phone is not the best for these kind of jobs, and hopefully they will give a wee insight as to what’s to come. Unfortunately absent from the rehearsal yesternight were Joan Evans and our new boy Charles Langdon, making his debut performance, but as we get nearer curtain up I hope to slip out of my codpiece and tights (er..so to speak) and return again to take a few more photos. There is still clearly a lot to do, as is customary with any play at this stage- lines to be learnt, details to be ironed out, but this looks set to be another great evening of local theatre. Flyers will be on their way shortly with booking details and this information will be published on the official website, http://www.matchboxtheatre.org.uk, in the very near future. I look forward to seeing some of you there. Til next time, when i hope to be back with a wee bit more nostalgia.